What does it take to ensure that a county and its citizens prosper and thrive—thrive in terms of health, housing, economic resiliency, and sustainable recreation? These are the questions driving the people working on the One Valley Prosperity Project (OVPP), in place since 2016. Across the county, staff in government, non-profits, education and industry have embraced the OVPP’s goals and work towards them daily. The OVPP is a driving document that essentially orchestrates multiple agencies so the right hand knows what the left hand is doing, and no one is working in isolation. “We see people working across their sectors and silos, collaborating, getting things done and re-evaluating monthly to see what’s working and what still needs tweaking,” says Cathie Pagano, Gunnison County director of economic and community development. The OVPP is a document that outlines goals to achieve community prosperity in four main areas: affordable housing; citizen health; economic resiliency; and sustainable recreation and tourism. It was initially generated by a group called the Community Builders Task Force (CBTF), consisting of representatives from local municipalities, Crested Butte Mountain Resort, Western State Colorado University and Gunnison Valley Hospital. The CBTF still oversees the implementation of the OVPP goals and meets monthly to check progress. “The OVPP is not just sitting on the shelf collecting dust. We are reaching goals and moving forward because of the many committed people throughout the county who make these things happen every day,” says Pagano. When the CBTF initially convened, the members analyzed financial data about Gunnison County citizens and learned that compared to other counties across the state, Gunnison’s income level was lower and the cost of living was higher. This prompted the group to put economic resiliency on the docket as a key focus. In terms of economic resiliency, the ICElab works with local entrepreneurs through its accelerator and incubator programs to help diversify the local economy. The incubator is a six-month intensive track that mentors businesses in all phases of development, while the accelerator is a rigorous 12-week program for companies looking to grow and expand. Three north valley businesses have participated in the accelerator program: CB SUP, Vermont Sticky and First Ascent Coffee. In addition, the ICElab has joined with the outdoor industry trade group to begin a program specifically geared toward mentoring businesses with an outdoor recreation focus. The OVPP’s focus on sustainable tourism generated the formation of the Sustainable Tourism and Outdoor Recreation (STOR) committee, a 22-member group that meets monthly to identify issues related to use and overuse of the area’s natural resources. Among other projects, STOR has focused on reducing car traffic on Peanut Lake road, installing signs to encourage parking closer to town. Currently, the group is working on obtaining funding to implement the newly approved Signal Peak trail system as well as securing funding to construct a boat ramp and amenities at Shady Island on the Gunnison River near Garlic Mike’s. And finally, STOR is seeking funds for a planning grant to implement a Crested Butte to Crested Butte South trail. 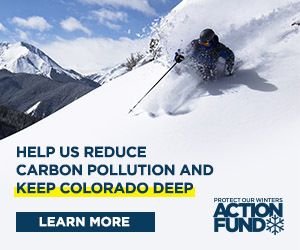 “Another big focus for STOR is working with the National Forest Foundation to develop a revenue source so we can control our own destiny in the Gunnison Valley, because we know that the Forest Service will always need supplemental funds to maintain and preserve our backcountry amenities,” Pagano explains. The focus on community health falls on the shoulders of the 25-person Community Health Coalition, a group with representatives from healthcare, education and non-profits devoted to the health and wellness of adults and kids in the valley. To address food insecurity among kids especially, the group coordinates efforts from the Gunnison Food Pantry and Mountain Roots food project, as well as local faith-based organizations to ensure that kids have access to food on the weekends and when school is not in session. The group also works to help citizens who are vulnerable to high winter heating bills by promoting local programs like GV Heat that offer no-cost or low-cost home weatherization. Another goal of OVPP is to enhance and provide positive youth development, through programs within and outside the school. These include the mental health curriculum, Sources of Strength, and programming from the Gunnison County Substance Abuse Prevention Project in the schools. This is just a snapshot of the list of tasks that fall under the umbrella of community health. The OVPP’s final goal to increase affordable housing in the valley is its most difficult to attain. To begin, the OVPP directed staff at the Gunnison Valley Regional Housing Authority (GVRHA) to generate the 2016 regional housing needs assessment, which presented alarming data about housing in the valley and the growing gap between what residents can afford and what is available on the market. The growth in second homes and homes used for the short-term rental market from 22 percent in 1997 to 49 percent in 2016 contributes to the affordability crisis. One goal of OVPP is to develop a fee/tax for vacation rentals that would contribute to a regional affordable housing fund. Such a tax is currently being proposed by Gunnison County to the state legislature for consideration in the 2019 session. Another stated goal is to stabilize the GVRHA by securing a permanent revenue fund. Pagano hopes to convene a group of stakeholders to address housing, including builders, town planners and representatives from the Gunnison Housing Foundation and GVRHA. Meanwhile, look forward to OVPP’s presentation on the State of the Valley this fall, some time in September. “We are going to showcase where we are now, what has changed since 2015 and what hasn’t changed, what we still need to work on,” says Pagano. For more information about the OVPP, go to onevalleyprosperity.com.